Florianopolis is the island paradise of the southern coast and renowned for its vibrant culture, subtropical climate, beautiful beaches, and great nightlife. Florianopolis is blessed with a spectacular combination of natural beauty with 42 beaches surrounded by green mountains, world-class nightlife, sophisticated dining, exotic Brazilian culture, safety and a charming ambiance that tends to enchant visitors from the moment they arrive on the island. There are two sides to Florianópolis. 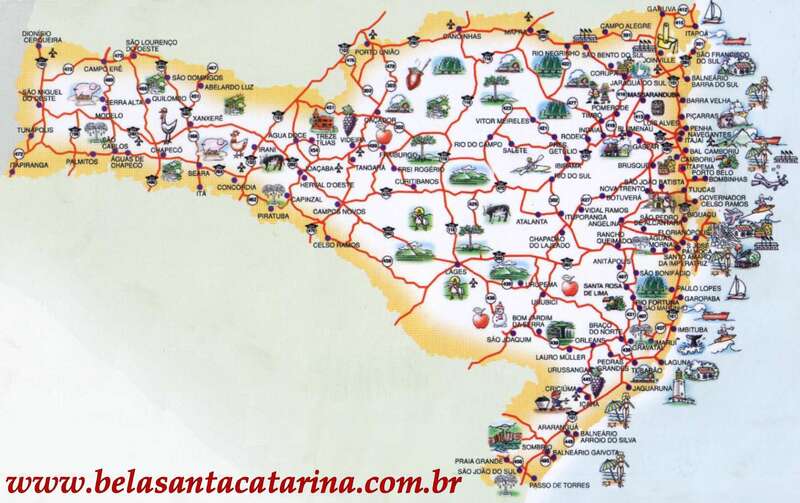 On the mainland, the industrial zone occupies the districts of Estreito and Coqueiros. 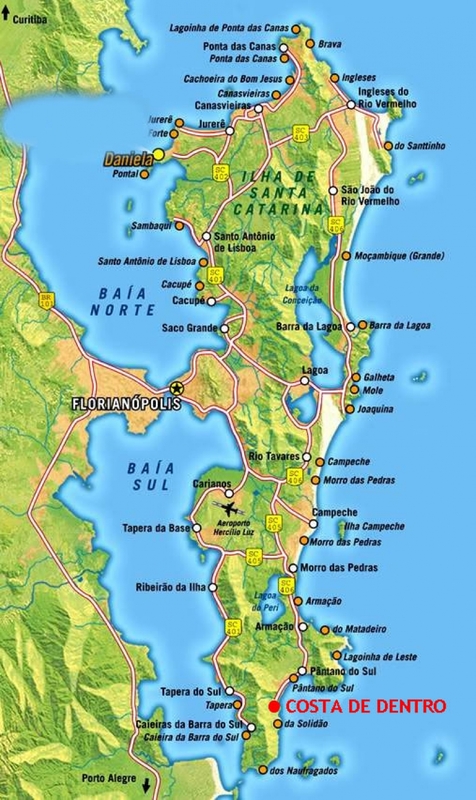 Across the bay, the island holds the historic center and the chic district of Beira-Mar Norte. Two picturesque bridges link these halves. The old suspension bridge, the Ponte Hercílio Luz, is no longer open to traffic, but it still lights the night sky, acting as the defining feature of Floripa’s spectacular skyline. Although the day diverse scenery in Florianopolis would already be a very good combination for you to come visit us, the island has much more to offer. The little charming downtown called Lagoa da Conceição, offers lively bars, shops selling from local handcraft to international brands, a huge variety of restaurants, and world class night clubs. A walk in the evening at the Lagoa area is a great option to relax having a fresh juice or a Brazilian ‘expresso’ while you do some ‘people watching’. Mountain bike in Florianopolis.jpgAnd at night enjoy one of the incredible restaurants that vary from the typical Brazilian barbecue (here called “churrasco”), to Thai, Japanese, Italian, and many others. Later on, we are sure you can gather energy to go to one of the great nightclubs in town. Be ready to dance to your favorite rhythm or to experience the famous “samba”!